Did you ever get the feeling you’re “talking to the wall”? Do you feel that no matter how you say things no one understands you? Or, do you have a hard time understanding what your spouse, partner, and/or boss say to you? As Paul Newman so famously said in Cool Hand Luke, “What we’ve got here is a failure to communicate”. What do we mean by communication anyway? Communication is the lifeline of personal and business relationships. If there is a single key to successful relationships, it is communication. It’s hard to have a relationship with someone if we can’t talk to them or if they don’t understand or listen to us, isn’t it. Communication isn’t just something that happens, it’s also a process. It requires cooperation and understanding from both parties. Meaning, both people want and need to be involved in the conversation, the speaker wants to have his/her message heard, and the listener wants to hear it. The speaker says something. What do they mean to say, what’s the message they’re trying to get across? How are they saying it? What’s the tone of their voice? What’s their facial expression, their body language while speaking? What is the listener interpreting from what they heard? How does the speaker know the listener has correctly understood what they said? Every message is always presented, simultaneously, in two different ways. The first involves the actual words that are being said to get the message across. The second involves the nonverbal part, the way the message is said. These nonverbal cues might be eye contact, tone of voice, hand gestures, body language, etc. Did you know that people focus more on nonverbal messages than on the words being spoken? For instance, suppose someone asks how you’re doing. You reply, while crying, “I’m fine.” Which message are they more likely to listen to? The tears or the words? What would they interpret from your message, that you’re fine or that you’re sad or depressed? Or, while pacing back and forth you deny feeling anxious. What would the observer think? 1) I asked a question above: How do you know your message has been correctly interpreted? Simply ask. 2) Carefully listen to the response you get to your message. At the same time, look at the nonverbal cues the listener is sending. Are you telling them something you think is matter of fact and they seem to be getting angry? 3) If you think your audience, the listener, hasn’t understood what you’re trying to say, let them know and explain your message in a different way. The important phrase here is “if you think”. Try not to assume they haven’t understood you or accuse them of not listening to you. What do you think will happen if you do this? 4) If you’re the listener, make sure you correctly understand the message. How? By paraphrasing it back or by asking for clarification if you’re not sure of the meaning of what is being said. It’s best to make sure you heard correctly before continuing. 5) Wait to respond, in fact, wait to come up with your response until the speaker has stopped talking. It’s really hard to hear something correctly if you’re planning what you’re going to say instead of listening. 6) Try to match your words with your nonverbal cues. The best way to do this is by being honest. It’s likely your facial expressions will give you away if you’re not being truthful. After all, most of us don’t have good poker faces. Learning good communication skills is a process. Giving the above tips a try is a great first step. See also my article entitled “The Art of Talking, The Art of Listening” Good luck! This entry was posted in Active Listening, Change, children, Communication, Marriage and Couples, Relationships, Stress and tagged communication, listening, marriage, relationships, talking on July 23, 2013 by Linda Walter, LCSW. 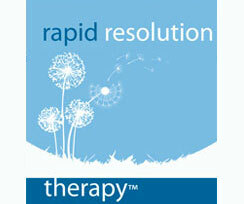 I am a Psychotherapist with a Masters Degree in Social Work specializing in Clinical Practice. My offices are located in New York City and Westchester, NY. Licensed and certified in the State of NY, have been practicing for 25+ years and supervising other therapists in clinical practice for 15 years.